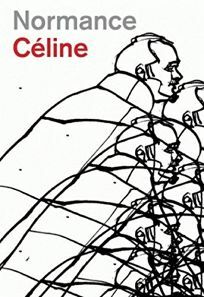 This spring, Dalkey Archive will publish the last of Céline’s novels to be translated into English. Céline, a doctor by trade, took the French literary world by storm in 1932 with Journey to the End of the Night . Then he destroyed his reputation by writing anti-Semitic hate tracts during WWII. Exile and a brief imprisonment followed. His early works changed international literature forever, but his later books, written during a period of self-inflicted, backhanded infamy, crystallized his inimitably visceral style and misanthropic attitude. This is the last of Céline’s novels to languish untranslated. The adroit Marlon Jones has produced an English text that compares with the brilliant translations of Ralph Mannheim (who brought Journey and Death on the Installment Plan into English). Even at his most lucid, Céline’s prose reads like rapid bursts of slangy, profane argot—problematic enough in its own right—issued in a dramatic and confrontational style. True to form, this narrative is practically shouted in short exclamation-pointed bursts (connected, or disconnected, as it were, via ellipses) by a frenetic doctor-narrator named Ferdinand who endeavors to tell the reader about the allied bombardment of Montmartre in April 1944, “baroom!” and “baboom!” and all. The explosions are enough to make the furniture dance around the room, but Ferdinand attends mainly to his beloved cat, Bébert; his girlfriend, Lili; and Jules, a humpbacked local artist he despises. As the destruction of Paris grows more surreal, Ferdinand’s invective against Jules follows suit, and Ferdinand convinces himself that Jules is conducting the entire offensive from atop a windmill. Lili and Ferdinand head to the lower floors of the building to search for their cat, finding that their neighbors, including the Normances, an obese man and his undersized wife, have taken cover under furniture. The bombardment worsens, civilization breaks down, the rooms flood with bodily fluids of all kinds, residents loot a hoard of liquor in a mad bacchanalia, and the giant Normance turns murderous.